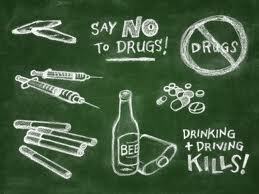 Drug addiction is a problem that has been experienced by millions of people worldwide. If you take into account all the people that are affected by an individual's addiction – family, friends, employer – that number rises dramatically. Given the devastating effects drug addiction can have on someone's life, and the lives of those around them, seeking treatment is one of the most important things you can do if you or a loved one is experiencing it. With the wide variety of different drug addictions, and the numerous reasons for becoming addicted, treatment options have to be diverse and comprehensive, and the following are some of the stumbling blocks of recovery, and how to get around them. It is important when considering treatment options to think about the circumstances surrounding an individual's addiction. Perhaps they started to abuse drugs because they were bored or unhappy. Another common cause is the use of opiate medications for legitimate chronic pain, which then spirals out of control as the person discovers that they are unable to stop. The reason for taking these facts into account is the trigger, the catalyst for their addiction, must be addressed at the same time as actually treating the problem. There are many different options when it comes to drug addiction treatment; behavioral therapy and support groups are two of the most common, coupled with either immediate cessation or gradual reduction of drug use. Due to the many different causes and contributing factors, treatment must be tailored to the circumstances of the individual, and for this reason it is imperative that people seeking treatment explore all the different kinds of help that are available. Information is one of the greatest tools in the fight against drug addiction, and educating yourself and your family can make all the difference - so visit www.thecolemaninstitute.com, and acquire the knowledge you need.